My favorite celebrations are Christmas and Birthdays! It doesn't matter if it's my birthday or someone else's birthday, I just really love it! I love the vibe, the food and most of the time, the decoration! I'm an aficionado of anything cute and pink, in case you haven't noticed yet. 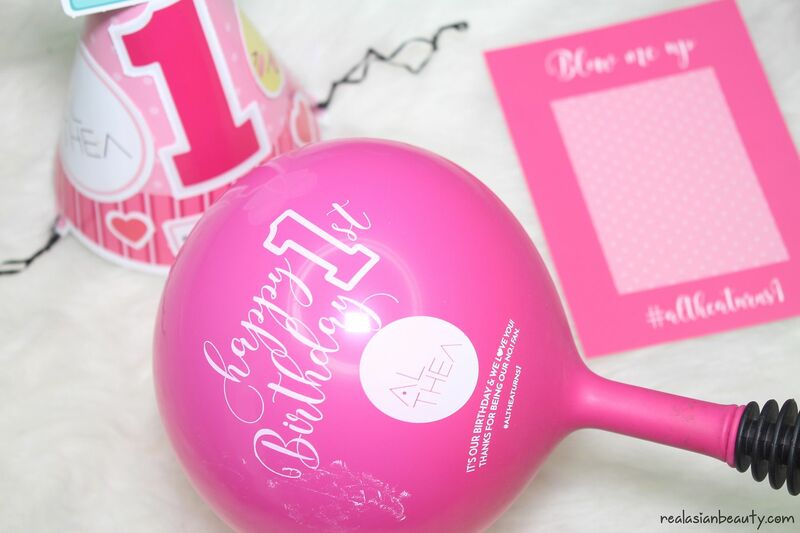 You can only imagine my excited when I found out Althea is turning 1 and they want me to be a part of their 1st Birthday Celebration! 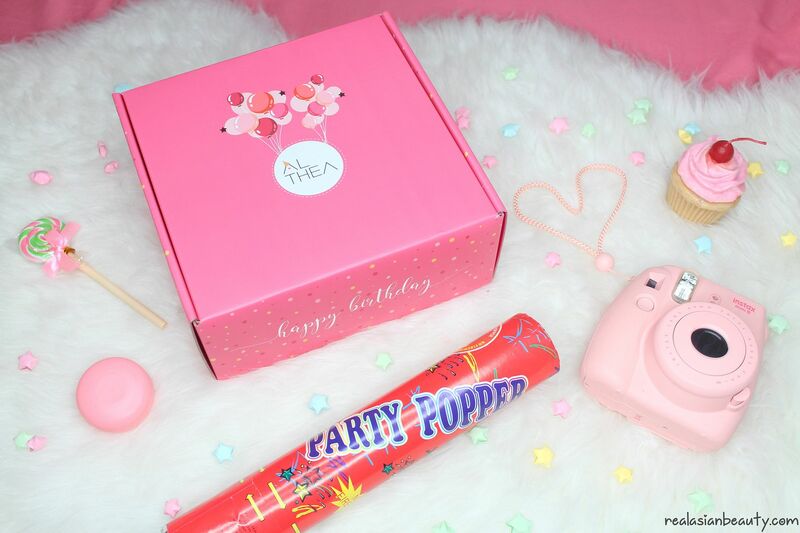 But since I couldn't physically be in Korea to celebrate with them, they sent me this pink Althea DIY Party Kit so I could join the fun! OH MY GOODNESS! Althea didn't think their original pink was was sufficient. 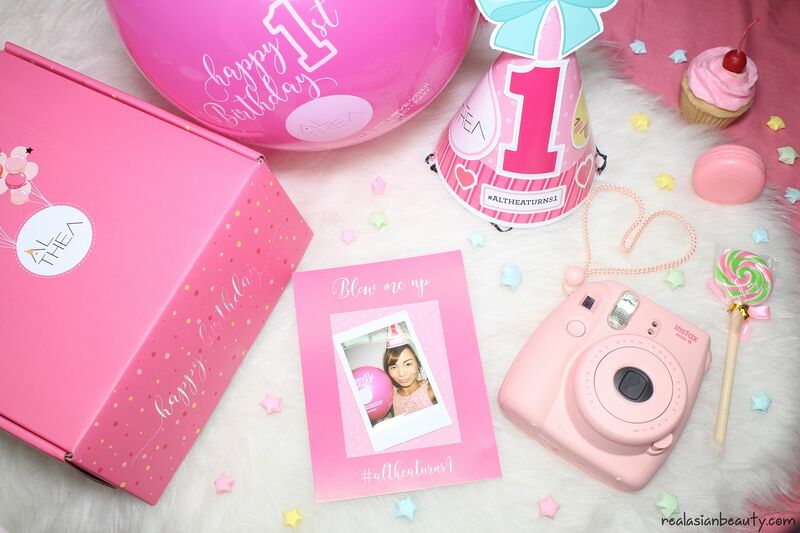 They even decided to produce special Pink Birthday Box just for this celebration! How can you not love Althea, really? 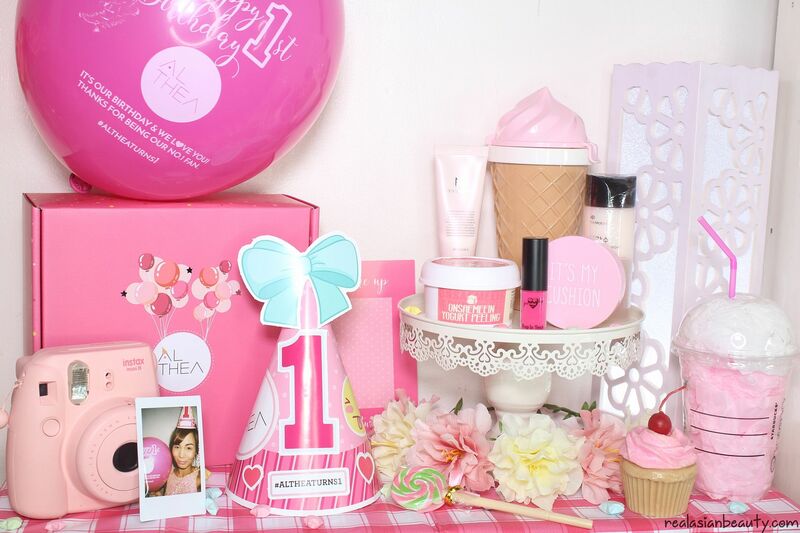 Althea Korea is currently South East Asia's largest online Korean beauty store with the lowest prices shipped directly from South Korea! Althea is turning 1 today, July 20, 2016! 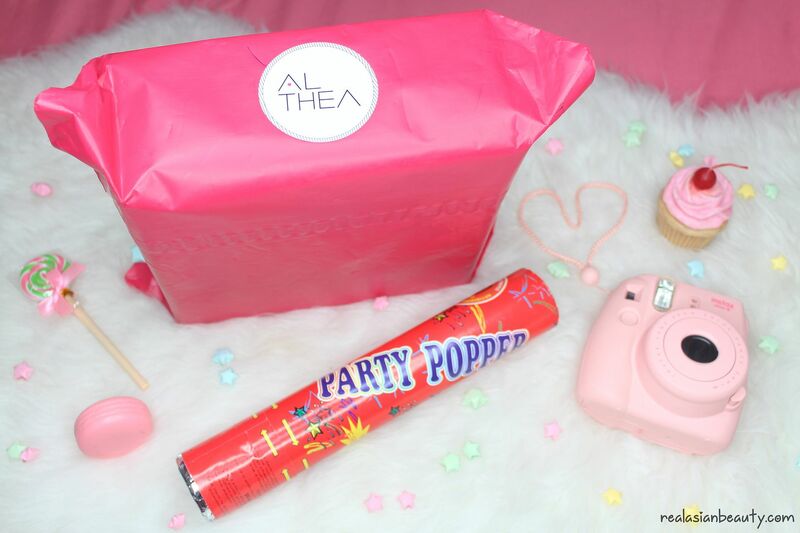 I wanted to do a video haul showing what's inside the Althea Birthday Box. But I thought pictures would be better so I am blogging this instead. 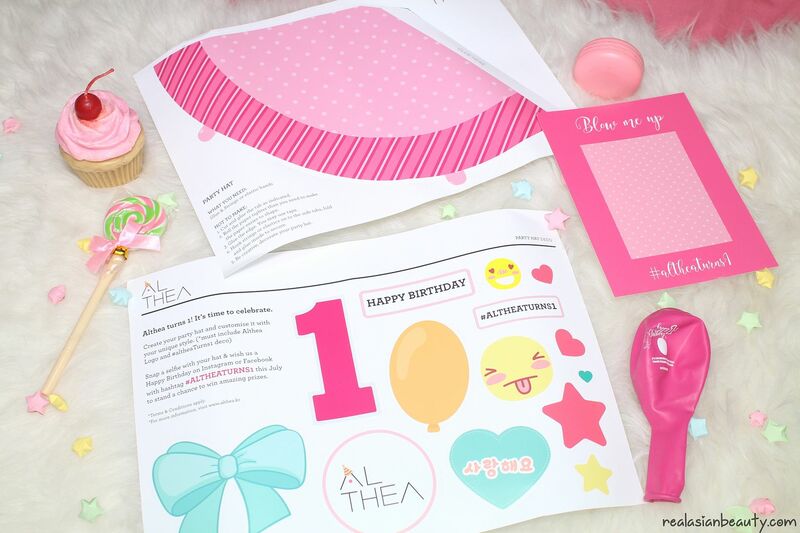 I know you are curious what's inside the Althea Birthday Box so let's take a look! A few days before I got this box, I shopped at Althea. Because it was their birthday treat to me, I was given rebate on the items I bought and it was credited back into my Althea account. After 2-3 days of waiting, I finally got the box! I knew it was the birthday box when I got it but I had no clue what else was inside it aside from the products that I have ordered. Look closely, I know you notice it, too! Yes, I ordered ALL PINK items! 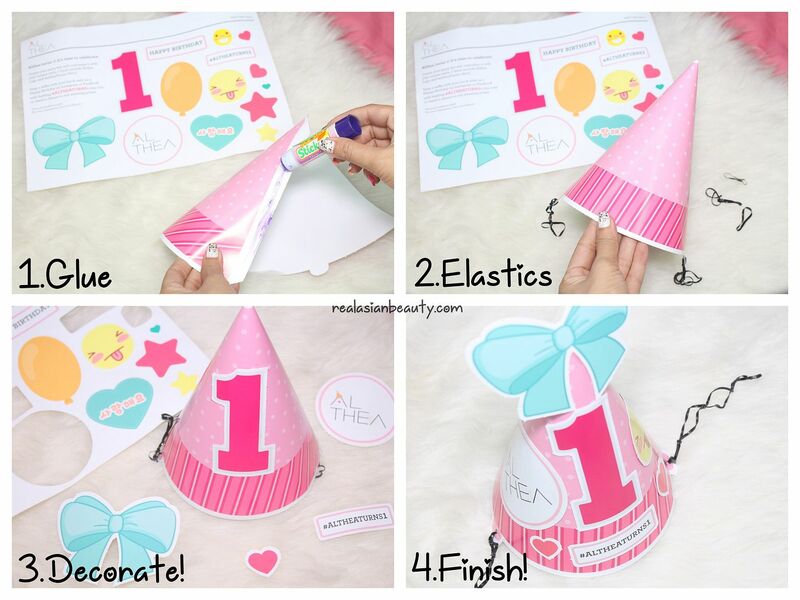 Then, I went to see the cute DIY Party Kit that came in the Birthday Box! I'm dying because of the cuteness! Korea never fails when it comes to cute things! I mean, how do they ever come up with these cute concepts? Okay, that's the simplest I could get! I chose to put the 1, Althea Logo, #AltheaTurns1 and 2 Heart Stickers on my hat. After that hat, I decided to blow the pink balloon! I wish when I'm old, people would be more open-minded and won't care for grandmothers that still love sunset, balloons, bubbles, unicorns and anything pink and sparkly! Because I just love those so much I don't think I would ever outgrow them. You will never guess the effort I gave just for this photo! Hehe I practically had a party inside my bedroom just for this. I LOVE IT!!! I want my bedroom to look like this everyday! I know you also want to be a part of this fun birthday celebration! Here's how! Althea's Birthday Celebration from July 20 to July 31, 2016! Birthday GIVEAWAY. Buy 3 Top Sellers on Althea's site and get 100% rebate. (You can pick up to 3 items from a collection of 12 top-seller items.  You will get 100% rebate off the 3 products. The rebate will be credited back to your account after your payment and can be used on your next shopping adventure! 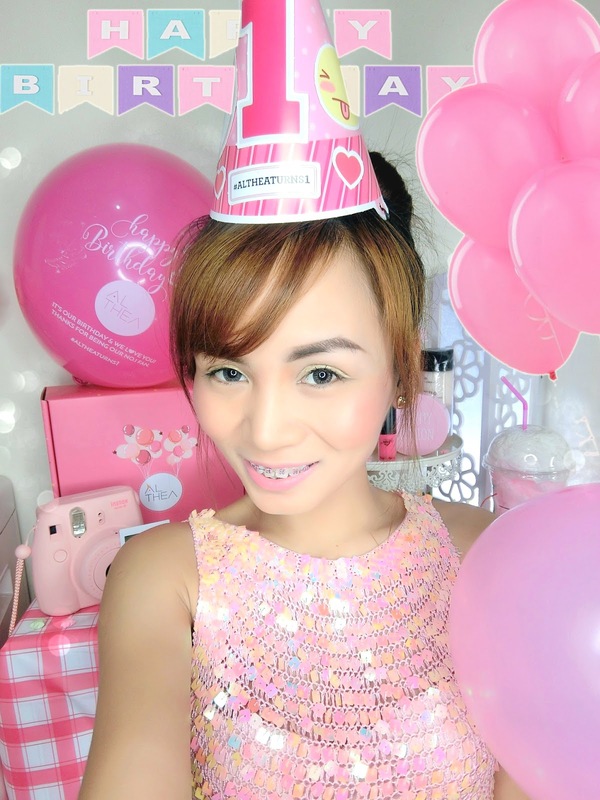 Because I want to join the fun, here is my selfie using the Althea DIY Party Hat!